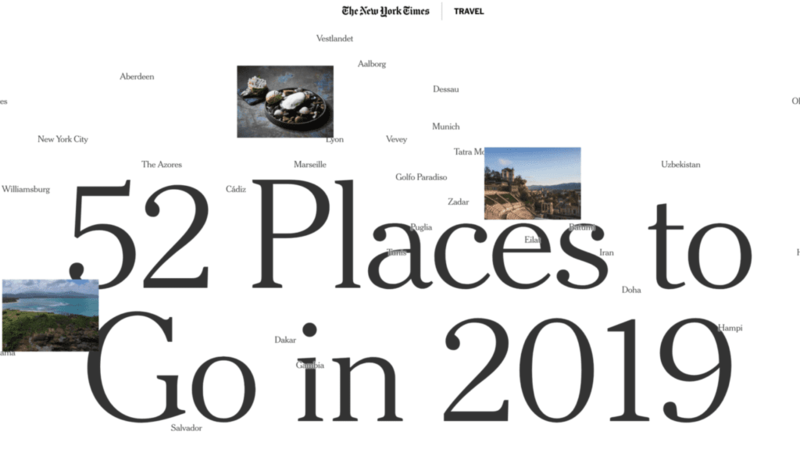 Every year, The New York Times releases a list of the 52 top places to visit. They recently published their “52 Places to Go in 2019” and Santa Barbara landed at #3! NYT credits Santa Barbara’s foodie scene as one of the biggest reasons to visit our beautiful city. With so many incredible restaurants and wine tasting rooms, Santa Barbara has unbeatable dining. Santa Barbara has more restaurants per capita than most cities in the world and will dazzle your palate no matter what kinds of flavors you crave. When choosing from the many diverse restaurants and types of dining experiences, you’ll never have to sacrifice quality. The New York Times also gives credit to Santa Barbara’s wine. There are over 30 different wine tasting rooms in the city, and each one brings a unique experience to wine tasting that you won’t find anywhere else. Leave the stuffy traditional wine tastings to the northern cities; in Santa Barbara you’ll find hip, modern tasting that will satisfy more than just your vino heart. Condé Nast Traveler‘s list of “The Best Small Cities in the U.S.” also listed Santa Barbara’s wine scene as a reason to visit. This year, over 400,000 people voted in Condé Nast‘s 2018 Readers’ Choice Awards. Each year, readers vote for their favorite cities, and Santa Barbara has repeatedly made the list. Aside from Santa Barbara’s vibrant wine culture, Condé Nast Traveler‘s readers also remarked on the local nature. The readers recommended taking a day trip to Orchid Estate and walk through the five acres of orchids and orchid hybrids. Of course, they mention the beautiful beaches as well. Santa Barbara has many gorgeous beaches where you can sit back and relax. There are plenty of local activities and entertainment to keep you busy, but it’s nice to take a break and sit by the water. Marina Beach Motel is located just steps from the beach, offering you easy access to the calming sand and ocean Santa Barbara is famous for. This January, Marina Beach Motel’s special offer will help you save money on your stay. Take $25 off any standard king room during weeknights until January 31 and visit Santa Barbara for an incredible discount. Marina Beach has beautiful rooms, incredible amenities, and is close to the beach. Lounge by the beach, dine around the city, partake in unique wine tastings, and enjoy the local culture when you visit Santa Barbara.